Two lesbian women are speaking out because they are being forced to pay fees to Royal Brunei Airlines for canceling their flights. Shannon, 26, and Jaqueline, 28, are both lesbians but they are not a couple. The Australian women booked a flight through Flight Centre with a stopover in Brunei. After they learned that Brunei implemented several updates to its criminal code that increases the maximum punishment for male homosexuality to death by stoning and the punishment for female homosexuality to ten years of prison or 100 lashes. Shannon said that she doesn’t feel comfortable flying on Royal Brunei Airlines because, she says, she appears visibly queer. “From a visual point of view it’s not okay,” she told news.co.au. She said that she could change her appearance but doesn’t want to just for a vacation. But when she tried to cancel her ticket, Flight Centre said that she would have to pay a $300 Australian ($213 US) fee to RBA. “Obviously, we can’t waive any fees that are payable to the airline,” Flight Centre said in a statement. Shannon said that it “wasn’t right” to be forced to pay the fee when Flight Centre didn’t warn her that RBA isn’t a safe airline for LGBTQ people. There is currently a petition to ban RBA from Australia, which has gotten over 18,000 signatures so far. “Why should a country that executes gays be allowed to operate here and their national carrier place our citizens at risk?” the petition reads. STA Travel, a Swiss travel company for students, has said that they will cut ties with RBA. 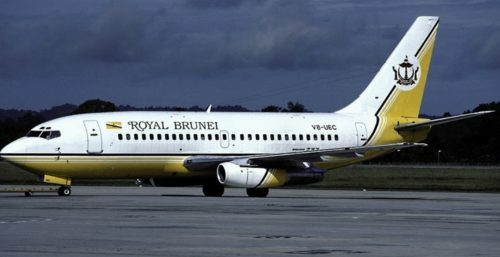 “Anybody who bought Royal Brunei Airlines tickets through STA Travel and who no longer wants to use them can claim a refund, and we will help those customers to make alternative travel arrangements,” the company said in a statement.